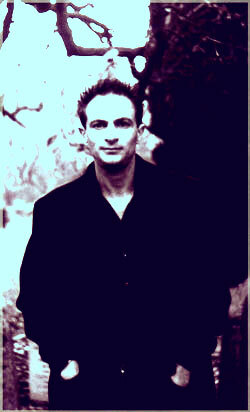 Marcus Sedgwick began to write seriously in 1994, and was taken on by the literary agent Elizabeth Roy in 1998. His first book, FLOODLAND, was published by Orion in 2000, and won the Branford-Boase award for best debut children's novel. WITCH HILL followed in 2001, and was nominated for an Edgar Allan Poe Award, the Independent Reading Association award and the Portsmouth Book Award. In 2002 THE DARK HORSE was shortlisted for the Guardian Children's Fiction Prize, The Carnegie Medal and the Blue Peter Book Award. THE BOOK OF DEAD DAYS was nominated for the Guardian Award, and was shortlisted for the Sheffield Book Award and the Edgar Allan Poe Award. He is currently working on a seventh novel for Orion, MY SWORDHAND IS SINGING. He is also a drummer in The International Band of Mystery. Visit www.internationalbandofmystery.com to find out more. ACHUKA spoke to him about his sixth novel, THE FORESHADOWING, published July 2005. The first half of The Foreshadowing is set in Brighton, the second half in France. The scenes in the first half are mostly internal, mainly domestic. Most of the action in the second half takes place outdoors or on the move. Were you more comfortable writing one half compared with the other? Not really – but each half does have a distinct feel to it, and it was enjoyable to try and get this across. Overall I enjoyed writing the second half more, but then that’s often true – the set-up is done, plots and relationships are established, and the challenge and excitement of bringing everything safely down to earth is a thrill. The Brighton scenes are filled with impressive observations (through the main character's eyes) of parental behaviour, particularly in the section when Edgar comes home on leave. When writing in the first person like this do you tend to feel and sense the other characters form an authorial viewpoint or from your main character's point of view. A bit of both. If you’ve successfully created a character and understand them, then as an author you should be able to see things from their point of view, and know how they would feel in any given circumstance. This is of course especially true when writing in the first person – you have to get that voice just right. Sasha grows up quickly in the first part of the book and her learning is in large part gained through seeing the faultlines in her family and loved ones. "How can all the people I love have such different views on things?" she asks. Teenage readers are really going to identify with that feeling. But did you have to work hard to exclude the typical attitudes of a twenty-first century teenager. This is interesting. The book is a historical piece. I made all the mechanics of it – setting etc – as accurate as possible, but when it came to characterisation things were a little different. I read lots of first hand accounts of young women who’d served as voluntary nurses in WW1, to get the facts but mostly to get a sense of the voice of an upper-middle class 17 year old girl. However, we (my editor and I) quickly saw that on first draft the voice I had created was too formal and this was making her remote to the modern reader. We softened her voice up a little, making her speech less formal and so on. As to her feelings, it might be 90 years on, but Alexandra’s feelings are I hope a fairly universal human reaction to her situation. already out there just waiting to happen?" is another question Sasha asks early on. As an author do you consciously aim to pose (via your characters) this type of question for your young adult readers to ponder? Sort of. Put like that it sounds like I’m trying to embark on an educational program when I set out to write a book! But maybe I’m guilty, because yes, I do want to make the reader ponder the things I’m raising in the book, and fate versus freewill was one of the main things I was trying to address here. You just have to be very careful that you do these things subtly enough, or the book becomes didactic. This can be a hard balance to get right. Through her powers of premonition Sasha comes to compare herself with Cassandra. I have to say that the use you make as an author of this association is extremely adroitly handled, in that it must have been tempting, because easily accomplished, to make much more of this and to labour the parallels more heavily. Was this the case at all in any early drafts? Did you have to draw back from overplaying the Cassandra card, so to speak? I was prevented from doing so by the fact that Cassandra’s and Alexandra’s stories, though initially the same, veer in different directions. Although Cassandra was the starting point for the book, once I’d decided to move the story to WW1 it was important not to do a slavish translation of the book into that new time, but find my own story to tell about the curse that the girls live with. From there, therefore, I used what parallels I could, for example, their sea journeys, but trying not to swamp my story with the source material. I think readers ‘get the point’ fairly quickly. But talking of first drafts – one thing we did cut down after a first run through was the number of references to the raven. I’d loaded it with almost every literary reference I could find, but cut out most of this by the final draft. In my notes on the novel I see that I have used the word 'adroit' about another aspect of the narrative, namely the way you slip effortlessly from past to continuous (or in this case discontinuous) present, sometimes within the same sentence, but more commonly from one paragraph to another. What are you aiming to achieve by mixing the tenses in this way? Tenses were a big issue in the book. The book works essentially in diary format – it’s just that the dates aren’t there to see. It’s as if Sasha is telling us a bit more of her story each night, at a moment when she has a chance to reflect. This did however lead to some convoluted tenses, even within sentences, as you say, with much use of the present continuous which is a less common tense generally in a novel. But then it has to mix sometimes with a past historic etc and at the end of the day I hope the reader won’t worry at all about any of this! At a key point in the novel you jump forward six months. Subsequently you back up again, but there are compelling reasons for having this sudden time-jump. The book is essentially episodic, moving forward in time, so what are you aiming to achieve when you do what we could call narrative backing-and-forthing? There must have been a host of circumstantial detail that you needed to research or double check. An example would be Daylight Saving Time and the particular regulations regarding passports during WWI. Did you enjoy this aspect of the work? Did you do it all before you started or as you went along? I spent a very ling time researching this book. Obviously this is a subject (WW1) that you could read about forever. I do enjoy research greatly, but it’s very easy to prevaricate and time was pressing. However I am a cautious writer, and don’t like to embark on something before I have crucial details. In the end, I had to get on with it. The passport/identity card issue though was still in the air when I was half way through. A trip to the Red Cross museum finally got me the answer I was hoping for, but I would have been sunk without it. Not a nice position to be in. As to other details like DST, these are the reward for too much reading! About 90% of what I read didn’t go into the novel, but it does mean you end up with little facts like that one to help you bring the world to life. What influence did the writing of Cowards, a true story about two men who refused their country's call to arms, have on the writing of The Foreshadowing? The link is through poetry. I read Robert Graves and Herbert Read for Cowards, and this led me onto the friendship between Sassoon and Graves and discussions about the role of poetry in the changing world of war. This led me mechanically to the 19th Brigade – which included Sassoon's and Graves' regiment – the Royal Welsh Fusiliers – as well as the battalion that Tom ends up in – the Public Schools’ Battalion. I’d needed to find a unit to which Tom could easily sign up, and get to France within my six months time frame and this fitted the bill. But of course there are also hints at the wider issues of conscription and conscientious objection, which again I feel is as relevant (theoretically) to modern teenagers as it was then, as witnessed by children on the marches against the war in Iraq. You've published about seven books now and it wouldn't be wide of the mark to say that a darkly gothic seriousness runs through each of them. So it comes as a big surprise to discover that after-hours you are a drummer in a band called the International Band of Mystery and described as 'the south's Premier Austin Powers tribute experience'. Please explain! Well, it’s true as I explain on my website that for some reason I’ve always loved the gothic. I don’t know why. Maybe it’s got something to do with the fact that my earliest memory is being pushed in the pram down the lane to the 12th century churchyard in the little village I grew up in. Maybe not. But although I love all this dark stuff, I do so with a sense of humour, and actually also have come to like lots of different musical styles. The band I drum for at the moment is run by my cousin (who plays Austin Powers). We were doing original indie rock material, all very morose and getting 10 people turning up for gigs. We decided to give the tribute thing a whirl – we play 60 and 70s disco basically, and now we get paid for playing to large numbers of people who dance and laugh and have a good time. And that’s enormous fun. You also work in publishing, and my contacts inform me that you have recently returned to repping rather than working in the office. Is that true and if so what prompted the move? I won’t go into chapter and verse, but I was going nowhere in my previous job, and I got the chance to work for Walker. As you say I returned to repping, but I have to say that it’s a job you either love or hate. I love it. A lot of people look down on the rep as in some way the underclass of the publishing/bookselling business. I think this is because it’s a sales job, essentially, but I really don’t mind what people think, because I love it. There is much more to it than walking into an account and taking numbers. And it gives you lots of friends and contacts, and the pleasure of not being in the same place every day of your working life. I write every other weekend for all of Saturday and as much of Sunday as I have the energy for. I can’t write in the evenings after work, because I go to bed very early, but I do use this time to read and make notes etc. I spend 6-9 months preparing to write a book - reading and research and planning. Then I write. I write VERY quickly. I have done over 10,000 words in a day before, though the average is about 4,000. It’s important for me to get the first draft down, even if it’s a bit skeletal. Then I do three or four or five rewrites, fleshing it out. I always work in my small study, at the back of the house, and write straight onto my computer, again to save time and effort. Your first novel won the Branford Boase Award. Subsequently you have won other awards and been on many shortlists but what role did this first award have on your progress as a novelist? Yes, it helped my profile and so on, and sales a little bit, but in retrospect I think the most important thing it did for me was validate me. By which I mean, it gave me confidence to believe that I had a write to do what I wanted to do. Writing is a very hard business, and one the biggest issues is committing yourself to paper, and having people judge it. This can be very off putting at first. Have you ever reviewed another writer's book? I review quite often, mostly for BookTrust. There’s a big debate to be had about peer reviewing, and all I will say is that I always try and review a book with respect. As a writer I think it ought to make you more generous as a reviewer – knowing just what is involved in writing a book, even a not very good one! In the couple of instances where I have thought something truly appalling, I have suggested that the publication involved find something else to review – better to give the little space devoted to children’s books to something worth reading than to something one person wants to lay into! If you could go back and rewrite just one page of any of your books which would it be? Blimey. That’s a toughie. I’m sure there’d be lots, but I don’t know because I don’t go back and re-read my books generally. If anything it would be the US version of Floodland. I had to give it a more optimistic ending for the US market, a decision I regret now, especially given that it got a review in the US saying it had an overly-optimistic ending! Now check out the AUTHORFILE!